Ekuru is the Chief Technical Advisor & Senior Constitutional Advisor, Liberian Constitution Review Committee. He studied for PhD and LLM in International Refugee Law, & Law in Development at University of Warwick, UK. He has consulted for two US corporations, Universal Strategy Group Inc., & Development Alternatives Inc., as Senior Advisor on Policy & Planning, Ministry of Defense, Republic of South Sudan. 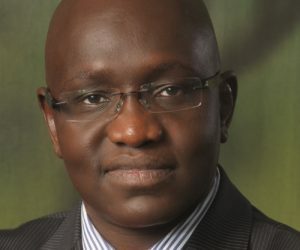 He is an Advocate of the High Court of Kenya, and the Founder of Ekuru Aukot Law Consulting. Ekuru has taught Constitutional & Administrative Law at the School of Law, University of Warwick (UK), and at Kenya School of Law, and has been a Visiting Law Lecturer on the Law of Refugees & IDPs at School & Faculty of Law, University of Nairobi and at the East African School on Refugees & Humanitarian Affairs, and at Refugee Law Project, Makerere University, Uganda. Ekuru has expertise in constitutional law, policy, human rights, governance and forced migration.